Klay shows off his dressing and shooting skills. Gregg Popovich is all about championships and not about names. He makes this pretty obvious during a camp held a few years ago. I love Popp and you can’t say he isn’t polite and truthful. Madden 15 came out this past Tuesday and the game gave us the gift of the most epic Madden bug we have ever seen. We all have heard of linemen getting blown up, but these players get thrown up in the air like a bomb went off. Either some of these players are super hero’s or they have added land mines on the field. My vote is to leave the game as is. Wanna see some players up close? Fork up $80k+ to be one of the 500 fans who can see players walking through the BNY Mellon East club on the way to the field, as well as have access to a patio area on the field between the 30 yard lines. Our favorite Asian basketball player, Jeremy Lin continues to play practical jokes on his mother this off-season. Today, he posted an epic Instagram of him and his brother’s slamming cake in the face of poor Mom. Jeremy gets slapped the crap out of afterwards, but I’m sure she won’t be mad too long because she gets to brag to her friends that her kid is Jeremy Lin. It’s also pretty awesome that Jeremy is still rocking the Warriors shorts. 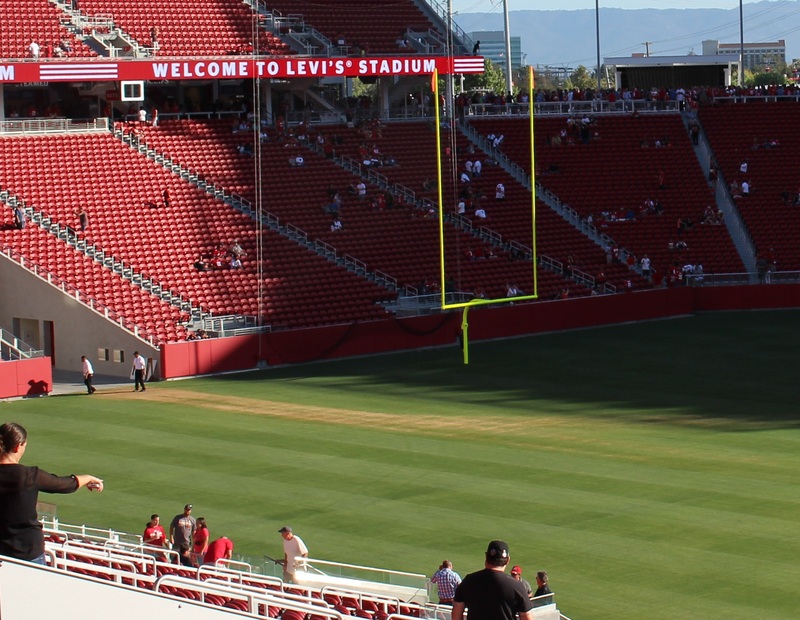 After cutting their public training camp practice short on Wednesday due to poor field conditions, the 49ers are planning to re-sod their new Levi’s Stadium field before Sunday’s game against the San Diego Chargers. Thanks to the video above from CSN Bay Area, we can see what the field looks like now and then. It has a deep root system, which is good for drought situations.